^ 5.0 5.1 5.2 Spain, Barry, Analytical Conics, Dover, 2007 (originally published 1957 by Pergamon Press). 埃里克·韦斯坦因. 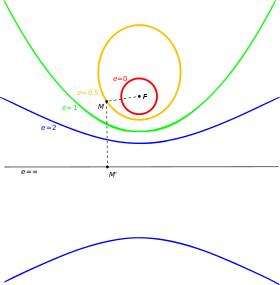 Conic Section Directrix. MathWorld.